“I’m so tired of being a caregiver,” is the emergency call for rescue by a caregiver battling feelings of wanting to give up. By reading this, you might believe that the caregiver is the person who wants to give up. In most situations, the aging parent, spouse, or a family member has become apathetic and doesn’t care about anything. It is difficult to be a caregiver when the one you care for no longer cares. When loved ones become apathetic; they give up trying. The caregiver is expected to do everything for them. When this happens, it’s easy for the caregiver to say, I’m so tired of being a caregiver. Apathy in caregiving is common. Aging parents, spouses, and loved ones put little effort into helping the caregiver help them. Little motivation exists to do anything without encouragement. Loved ones are unwilling or unable to initiate actions and require prompting and reminders to eat, change clothing, take medications, shower, and toilet. This desire to be waited on is frustrating for the caregiver who is juggling life trying to keep up. I’m so tired of being a caregiver is a cry for help when caregiving becomes too much. If the aging parent, spouse, or loved one doesn’t care, why must the caregiver? Those looking in from the outside may see the situation differently. People looking into the caregiver’s think, “oh poor, sweet parent or spouse,” how can the family be neglecting your care or be impatient? Shame on them! Walk in a caregiver’s shoes for a week 24/7, and you may become more compassionate. It is not that caregivers do not love aging parents, spouses, or another family member. If love did not exist the caregiver would be long gone. Caregiving can feel like a thankless job. It is the day in day out grind of caregiving that causes caregivers to say, “I’m so tired of being a caregiver.” Few ask how the caregiver is doing or how they can help. Caregivers experience days when no life balance exists and when caregiving feels like too much. Little compassion is shown for problems that the caregiver must resolve that were self-created by the aging parent or spouse. There are days when caregivers feel fortunate to survive caregiving for aging parents. Poor health of a care recipient is an early warning for caregivers. Learn from the health problems of your loved one. Make changes today. If my aging parent or spouse were dead, I could have a normal life. If you didn’t eat all that junk food and gain weight, we’d be able to travel and enjoy our retirement. We’re chained to the house because you can’t walk 20 feet and have diabetes and heart problems. You expect me to wait on you hand and foot? I didn’t cause the health problems you did. I’m healthy and stuck taking care of you for the rest of my life. No one told me the oath of until death do us part would be so miserable. If you didn’t let my sister move into the house and spend all of your money, you wouldn’t be in this situation (where you can’t pay for care). There are days when I would like to run away and never come back. Aging parents and spouses who experience feelings of apathy may be unable to change their responses and behaviors without support. An inability to change responses and improve abilities is also true of family members diagnosed with dementia or Alzheimer’s disease. Because of the decline of brain function, these individuals can no longer reason. Caregivers state obvious feelings because of extreme frustration. Caregiving tasks and responsibilities consume months, weeks, days, and hours of the lives of caregivers. It is easy for caregivers to feel burned out. Expressing caregiving frustration in a private support group where others understand is healthy and positive. Dwelling on frustrations and repeatedly venting—while understandable—fuels deep-seated anger and negativity reflects on the caregiver in emotional and physical decline. Doing good has negative consequences. Research about caregiver burnout and stress confirms that caregivers suffer health declines from caregiving. Emotional and physical stress in addition to common worries about money, time, and having the knowledge to caregive are common worries of caregivers. My experience is that frustration presents options and solutions. Caregivers can choose to drown in frustration and sorrow or push forward. Solutions exist when looking at situations differently and bringing humor and laughter into caregiving. Having a caregiving backup plan is important for a time that may come when you can no longer be the caregiver. Caregiving is a family matter. Discussions about “what happens when,” are valuable to ensure that spouses, aging parents, and family members will continue to receive care. In the stress-filled depths of caregiving, humor and laughter are absent. Joining a private online support group presents the opportunity to collaborate, commiserate, and receive empathy from caregivers who understand. Other caregivers will join in expressing concerns. Private groups supported by caregiving experts offer additional value to receive proven solutions. 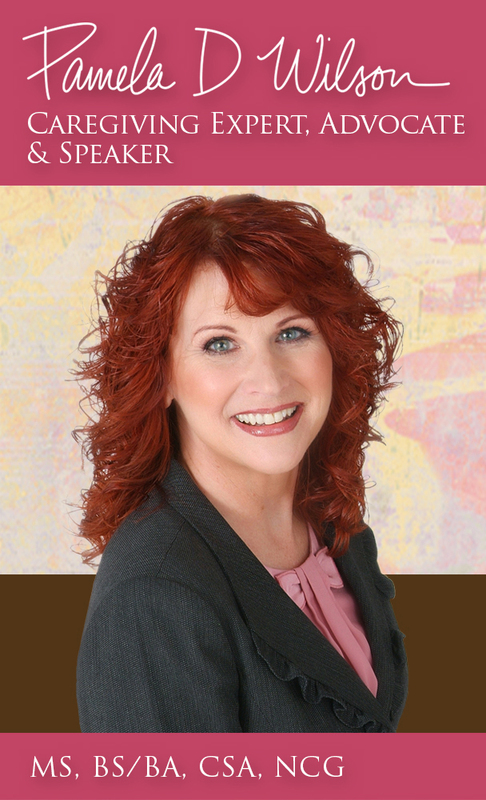 To join my Facebook private group for family caregivers called The Caregiving Trap, click HERE. Articles and information to support caregivers are posted each week into the group. Caregivers are encouraged but not required to post in the group that is accessible 24 hours a day. 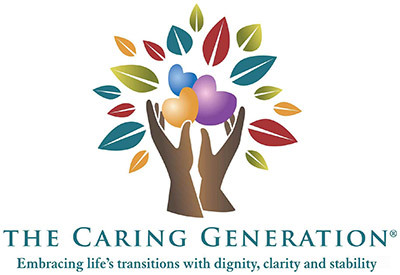 A monthly FREE live caregiving support group is also available. All involved in caregiving may click HERE to register. Better caregiving support helps everyone involved in caregiving situations work together instead of against each other. Better caregiving support also results in better than average care for aging loved ones. Caregivers who express frustration about the day in day out grind of caregiving—those who dream to return to a normal life—are shamed by family members and friends. The roles and responsibilities of caregiving require dedication to caring for a loved one. This includes battling healthcare and caregiving systems that are also apathetic. Part of the “don’t care attitude” is that the healthcare and caregiving systems have constraints. Constraints include rules and regulations, lack of training, difficulties hiring and retaining staff. Frustrations exist about care recipients and family caregivers who don’t listen to or follow through with recommendations. Is It Time to Get Power of Attorney? Experiences by caregivers are many. Doctors who refuse to provide care and treatment because a loved one is “old,” making repeated calls to insurance companies to resolve claims with agents who give incorrect information, paperwork becoming lost, medication errors that result in harm, providers who don’t listen or return phone calls. Getting anyone to help takes superhuman effort and persistence. If the caregiver is not the medical power of attorney, making these contacts is more difficult. While a permission document allowing the caregiver to speak to providers is helpful, having a medical power of attorney document is more powerful. Having the power of attorney discussion opens the door to the conversation about “who will care for me?” Power of attorney is a family matter that, if discussed early, solves the anxiety and worry about who will be the caregiver. Deciding who to appoint is an important decision. If not the caregiver then a discussion of who should be appointed must occur. When ongoing issues exist, if loved ones have not created power of attorney documents it may be time for the conversation of when to get power of attorney for a loved one. For those on the outside looking in, suspend judgment until you become a caregiver. When you are a caregiver, it’s important not to judge others but to advocate fearlessly for your needs. If you don’t, no one will. My online power of attorney course helps families talk about caregiving, manage caregiving situations, and go through the steps of setting up power of attorney. Caregiving and power of attorney are family matters. Be the Change, Create the Change, and Laugh! Caregivers have control—even though it feels like everything is in chaos and out of control. Caregivers are the spark to create change in the situation rather than being negatively affected by the situation. While thoughts of “I’m so tired of being a caregiver,” may still exist. Caregivers have more power than they believe. Feeling worn-out and tired results in caregivers wanting to give up. Continuing the battle to care for a loved one s not optional. Caregivers can’t easily walk away. Caregiving was not a conscious choice. The role of caregiving chose the caregiver. Finding ways to make the best of the situation on days when brutally honest feelings are expressed is a path forward. Humor and laughter belong in caregiving. If you’ve watched any of my caregiving videos, you will see me laugh and smile about serious caregiving subjects. Laughing about ludicrous, absurd, outrageous, stupid, and ridiculous situations is mandatory for caregivers to maintain sanity and perspective. There is always someone who has a crazier caregiving story to tell. Share the story and laugh with the caregiver! Then learn with the caregiver about what to do and what not to do. Lessons come from sharing challenges and stories with other caregivers. There are times when all caregivers benefit from an escape from caregiving. In the 20 years I supported caregivers and aging parents solve caregiving problems there were days when I expressed frustrations. Being on call 24/7 resulted in responding to phone calls, usually about emergencies all hours of the day. The problem? Human involvement. Human error. After reading these, there may be a better understanding of the ongoing daily challenges faced by caregivers just trying to do the right thing. There are days when everything that can go wrong will go wrong. For example, working with in-home caregivers can be a challenge. If you have a loved one in a care community additional challenges exist to ensure that your loved one receives better than average care. Let me stick a sharp stick in my eye for believing that anyone can follow instructions. My exasperated response while talking to my staff about a care provider who didn’t follow through. There are times when repeating information, placing instructions in writing, and asking the care agency to review information with a caregiver will fail. Listening and reading are lost skills! And we should be surprised? When a doctor wrote an order for a medication, that I specifically stated would cause a severe allergic reaction with my client. Some doctors don’t review patient charts before prescribing medications. If the staff did what I directed (orders for no chocolate), we wouldn’t be in this situation. My response, to hospital staff angry with me about my client arriving in the emergency room for the third time in a month for eating chocolate. She was diabetic. What don’t you understand about the MOST form? It’s simple. Follow my written instructions. Send him out! Can’t you read? My response to a nurse questioning my desire to send my client to the emergency room for care. The nurse believed he was having delusions and was dying. She wanted to call hospice. I knew better. My client was diagnosed at the hospital with a urinary tract infection. And we should let my client die because of the risk of loose stools? My response to a nursing home doctor who told me I should not send my client to the hospital for treatment of stomach concerns when the VA physician recommended that he write an order for an antacid. The nursing home doctor was concerned about the side effect of loose stools. He fired me for disagreeing with him and ordering him to write the antacid prescription. I found a new doctor. Some doctors believe they are God. Being legally responsible for clients as a court-appointed guardian, medical power of attorney, and care manager is a responsibility I did not take lightly. While I used humor in situations where things went wrong, I also had the responsibility of balancing the emotions of my staff when things went wrong. One of my repeated questions to a rescue call from my staff was, “is anyone dying?” If the response was no then my response was, “we can work with that, tell me what is going on.” It is easy for caregivers to become hypersensitive to things that go wrong or that are upsetting. By taking a moment to think about the situation it is possible to see solutions that did not previously exist. The dangers of apathy in caregiving are more significant for the aging parent, spouse, or family member whose suffer from health-related declines. While caregivers say, “I’m so tired of being a caregiver,” many would not and do not ignore the needs of loved ones. A study in the Netherlands among nursing home residents confirms that 50% of residents experience apathy. (1) Permanent residency in a nursing home can be depressing and result in aging parents and spouses losing interest in life. Depression is common among nursing home residents. Challenges with being able to complete daily activities relate to apathy. Individuals who could previously dress, bathe, and walk independently who now require hands-on support from care staff easily become depressed and apathetic. The more concerning outcome of the Netherlands research is that care staff in nursing homes become apathetic. Research confirms that nursing home staff view residents as normally depressed and apathetic. They take no initiative or action to address these concerns. Why make waves or cause extra work for themselves? I know this to be true based on personal experience with one of my clients. When I first met my client, she was active and engaged. Over time she became less active and increasingly apathetic. Apathy by my client resulted in isolation, refusing to come out of her room, and being less physically active. Previously able to dress, she came to totally rely on staff for help with all daily activities including needing assistance with dressing. Conversations with nursing home staff were a dead end. They saw my client’s behaviors as normal based on their belief that all nursing home residents are depressed and apathetic. To me, these behaviors were not normal and I was not going to ignore the situation. Nursing home staff relied on traditional depression scale testing that did not correlate with diagnosing apathy. Turning the ship to gain their support and participation took persistence, multiple meetings, and consultations with geriatric physicians who agreed with concerns about apathy. The nursing staff had become used to working in a system of routine. A system that believes that decline is normal for residents and no effort should be taken to change declines. The easier route is not to see any single individual as different or to make waves. Being care staff is difficult enough without looking for reasons for extra work. They had become apathetic, unmotivated, and unconcerned about the problems of residents. The result of persistent advocacy and refusing to agree with the beliefs of nursing home staff, was an order by a geriatric psychiatrist for medication to address the apathy and the depression. The medication proved to be the solution to apathy and a decline in daily participation. Within two months my client was more active. There was no more self-isolation in her room. She pleasantly greeted the staff in the nursing home. Nursing home staff who previously dug in their heels saying “nothing was wrong” with my client, saw and commented about the positive change. Persistent advocacy can change a life. While others become apathetic, caregivers must rise above the situation and refuse to be apathetic. Support means not telling a caregiver how he or she should feel. For example, telling a caregiver that he or she should not be angry is not supportive. Caregivers are as entitled to their feelings as anyone else. Telling a caregiver how lucky he or she is, also not a good idea. Would you want to be in the caregiver’s position? Becoming a caregiver has nothing to do with luck and everything to do with the experience of a tragedy or health event that resulted in the need for care. A path forward for caregivers who are tired of being a caregiver combines caregiver support and identifying solutions to relieve frustration, stress, and anxiety. Caregivers who are stuck feel the most frustrated. Taking action, even if in small steps, helps caregivers experience forward motion. It’s easy to become frozen in caregiving. Easy to there is no time to get help. Online groups don’t require leaving home. They’re accessible with an Internet connection any time of day or night. Join other caregivers in my Facebook family caregiver support group, The Caregiving Trap, and begin sharing your feelings and concerns. You can also subscribe to my FREE family caregiving library that includes access to “subscription only” articles offering more advanced support for caregivers. Click HERE to subscribe. Caregivers Get support today, one step at a time. Rather than dwell on the negatives, speak your mind, and move forward. Help exists on this website in the library, blog, newsletter, and groups.